30 minute crossing to Tarbet for further cruising options and bus & train connections, North, South & West. We have a selection of treats available for pre-purchase for your cruise to make your trip on the Loch extra special. Treat yourself onboard to a tea or coffee and shortbread. Available from 25th April 2019 to 3rd November 2019. A selection of commonly asked questions follows. If you have a query that is not answered below then please contact us for further information. When do the cruises and waterbus services operate? Our services run daily between April 5th and November 3rd 2019, however you can check the availability calendar on each page for more details. What is included in a Family Ticket? Family Ticket is for 2 adults and 2 children aged between 5-16 years. For families with 2 adults and 3 children please add £3.00 and call to book. Where can we buy tickets? 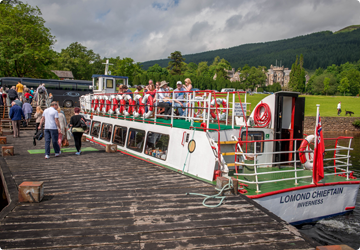 Tickets can be purchased online; Tarbet Ticket Office; VisitScotland Information Centres, Luss Shops (Luss cruises only) and Balmaha Village Shop. There is ample parking at all departure points. Are there toilets on board? Yes there are toilets at all departure points and on board each vessel. Are cruises and the waterbus child friendly? All children are very welcome. Is there any concession offered? Yes there is a £1 reduction on concession on the adult fare. Can you take bikes on board? Yes, bikes are welcome. We have racks on board – there is a charge of £2 per bike. Can we take our dog on the cruise? Yes, well-behaved dogs are welcome on board free of charge but must be kept under control at all times. At Rowardennan and on Inchcailloch Island advice from National Park is to keep your dog under close control especially during the breeding season (1 April to 1 August). There is live, informative commentary on all cruises with translations offered. There are full bar facilities on board with tea, coffee and snacks also available. Do the boats have safety equipment on board? All vessels are fully Marine Coastguard Agency compliant and have open reversible life-rafts and lifejackets for everyone on board, including infant lifejackets. Do the vessels have disabled access? 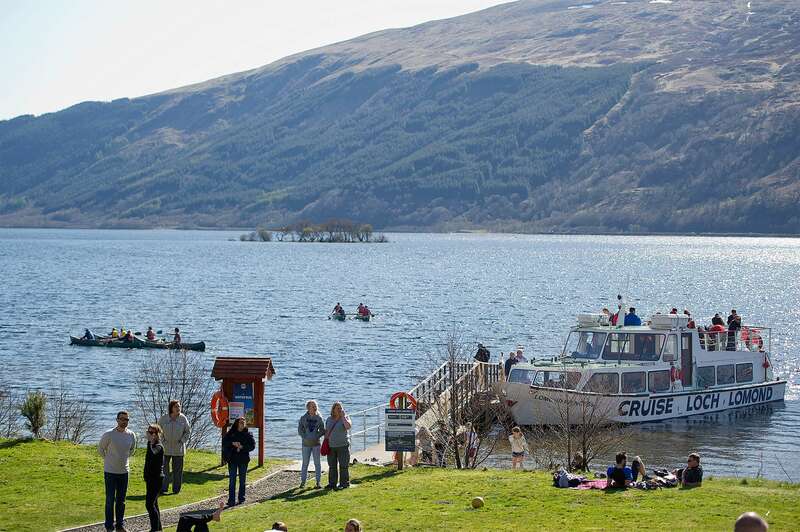 Cruise Loch Lomond strives to offer assistance to passengers with reduced mobility. Please state your specific needs at the time of booking and contact us for additional information.